The news of the election of Senator Bukola Saraki as the Senate President on Tuesday did not come to me as a surprise. It was already very obvious as of last Saturday when I left Abuja for London. I do not know Saraki personally but I saw that he played better politics in his quest to clinch the exalted position. I cannot say the same about the new Speaker of the House of Representatives, Yakubu Dogara. His election was a sort of domino effect from the Senate. Saraki understood early that some key members of his party, the All Progressives Congress, were not in support of his candidature and so made his campaign bi-partisan. As a member of the defunct “New Peoples Democratic Party”, it was easy for him to reach across to his former colleagues to neutralise those who were opposed to him. The way the contest played out is an important pointer to the ways our politics will unfold in the next four years. In theory, the legislature and executive arm of government ought to be independent. However in practice, the situation is slightly different. Every President desires a friendly parliament so that he can get support for his policies, get resources for projects and the right legislation passed to give legal support to programme priorities if need be. Therefore, there is nothing wrong if President Muhammadu Buhari had his preferences for the office of the Senate President. What was probably wrong was how his foot soldiers went about it. While the President insisted that he had no candidate, some people were said to be acting on his behalf. Was it the right thing to delegate the National Leader of the All Progressives Congress, Ahmed Bola Tinubu, to sort out issues pertaining to the National Assembly leadership elections? Some will say yes while others will say no. It will be difficult to overlook the contributions of the former Lagos State Governor to the victory of the APC. However, many people see him as unnecessarily overbearing and even meddlesome. Besides, he is seen in some quarters as a burden and will usually turn the other way whenever he is involved. Tinubu’s support was simply the burden on Senator Ahmed Lawan’s candidature that diminished his chances. There are those who spoke in the background that Lawan was the President’s preferred candidate but it was hardly visible in the domineering politics of Tinubu. I will not comment on the debate that was triggered by the comment credited to the National Publicity Secretary of the APC, Lai Mohammed, that the “President is the leader of the party.” I have read many contributions already to that conversation and those will suffice for now. From what we have seen after Buhari’s inauguration, it is possible that the President wants to focus on governance and allow those Mohammed referred to as “leaders of the party” to grapple with the party’s politics, but given that politics contributes to shape governance so both are linked. However things turn out, it is the President that takes the ultimate responsibility so he must not allow any side to chance. I know that politics demands a lot of compromises and trade-offs. I know President Buhari is a man who wants to be grateful to those who supported him. I also think that the President trusts Tinubu but if were in his shoes, I would not risk allowing one person produce my deputy and key leaders of the National Assembly under my watch. That will be too much power entrusted in one person. What if we disagree as it is often the case in politics? As it turned out, the APC leader wanted all and eventually got none. How sad? It reminds me of the days of Chief Tony Anenih as the leader of the Peoples Democratic Party. The results of the National Assembly elections should force the ruling APC to some introspection. With an “unfriendly” National Assembly, President Buhari has a lot to worry about. He should have learnt from former President Goodluck Jonathan. Part of Jonathan’s problems was because he did not support the emergence of Speaker Aminu Tambuwal. It was the opposition party, then Action Congress of Nigeria, that supported the former Speaker against Mulikat Akande who was sponsored by the PDP. History has repeated again before the full glare of the APC. 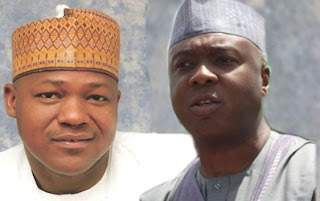 Now, how will President Buhari and his party navigate a bi-partisan Senate? What is the game plan of the PDP beyond producing the Deputy Senate President? Did the party get into any deals with Saraki in exchange for their support for him? Will he do their bidding? How come the APC allowed all this to slip through? Has the politics of 2019 and 2023 started this early in 2015? Will Tinubu learn to loosen his grip on the APC so that the party can govern? One final point I will like to comment on is on the APC’s zoning policy. The ruling party has sounded that it will abolish zoning in its conduct of national affairs. I support the party’s stance wholeheartedly. However, the party itself is a beneficiary of zoning. If it did not zone the Presidency to the North, it would not have won the 2015 presidential election. So, if it has to remove zoning as I think it would, it is important to do so gradually and systematically. For now, let every region get a feeling of belonging and a piece of the cake at the take-off of the Buhari government. There are qualified persons in every zone in Nigeria and so it will be wise to spread the appointments so that no region will feel short-changed. I say this because as I look at the results of the last elections, I will caution that the APC should play the kind of inclusive politics to expand its support base. With the presence of some PDP governors in the National Assembly gallery yesterday, it is clear that the APC needs to watch their steps.